Greetings from sunny Kigali. I have been here for three weeks and it seems as though I have never been away. Five months in the UK seemed a long time. I arrived back to many smiles and hugs, lots of happy children and staff. Word spread very quickly that I was back and soon a stream of visitors arrived, some with lovely gifts. It is always so lovely to see friends and neighbours again and exchange news. 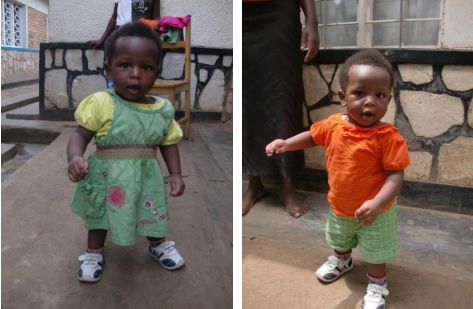 It was not long before my Rwandan granddaughter arrived for a visit, she is growing very quickly. Francoise, our cook is a proud mother and Megan is a confident, sweet-natured little girl. We were soon in full swing, the teachers work very hard and I can see real progress in their teaching skills and the type of activities they prepare for the children. The staff work very well together as a team and everyone benefits from this. Once classes had begun we began to look through the many boxes which had arrived in the container and started to distribute some of the things. There are a variety of items, many essential school supplies, especially for the Primary children this time, but also many basic items to give to the staff and the women of the project. There were very many shoes, donated by Goodly Dale Primary School and St Mary’s Infant school in Cumbria, these are always very well received. Many of my friends and neighbours donated many sheets, blankets and towels which were also very welcome gifts. We were especially excited about our new big toys for Nursery 1 – thank you very much to our very good friend Jules for all the work she does to get the container organised – a huge task. Two new ‘muzungu’ helpers arrived. 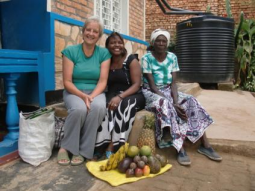 Wilma, my friend from Cumbria came to Rwanda in 2006 and saw the children in that small room where it all began. She brought the first books for the children with her. We have come a long way since then. John, from the USA is here with his wife who is working in a hospital in Kigali – he found us on the Internet and is helping out with Primary children, particularly with their use of English. We are so very fortunate to meet so many people who are willing to give their time and share their knowledge and experiences with us. 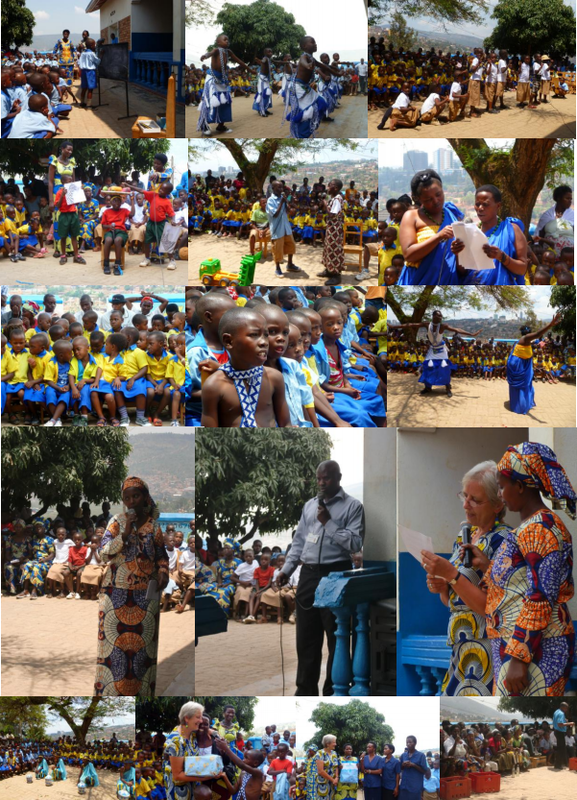 And now, for our September edition, below are many pictures of our Founder’s day celebrations held on September 20th which is my birthday. It seems such a short time since Hannah wrote the last account of this event a year ago. This year we had our own dance troupe. Many people I speak to here tell me that young children are not capable of this and that, that if they are poor they cannot learn etc, but we can show just what we can do given the chance. We employed a dance teacher who is a member of the National Dance Team over the summer months and the children were amazing. Others Primary children performed two plays which they had prepared with Michal while she was with us and a sketch about the origin of the project. 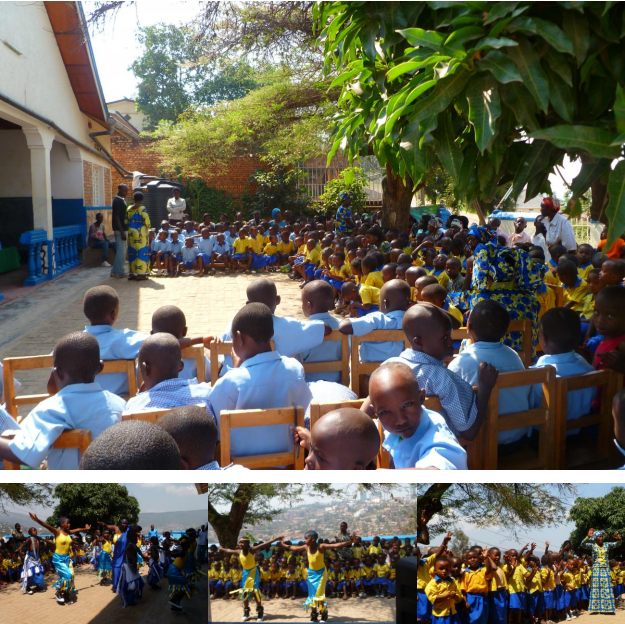 The different nursery classes performed sketches and songs for a huge audience with great confidence. Official speeches were made and everyone enjoyed it. One of our official visitors was a Senior Policeman who told me that the children spoke better English than many adults he knows and he was interested in the dance group, commenting on how good it was for the children’s social development. Very proud day for us! Wilma and John took the pictures, which I am sure you will agree, speak for themselves. They looked fabulous and they were very happy. 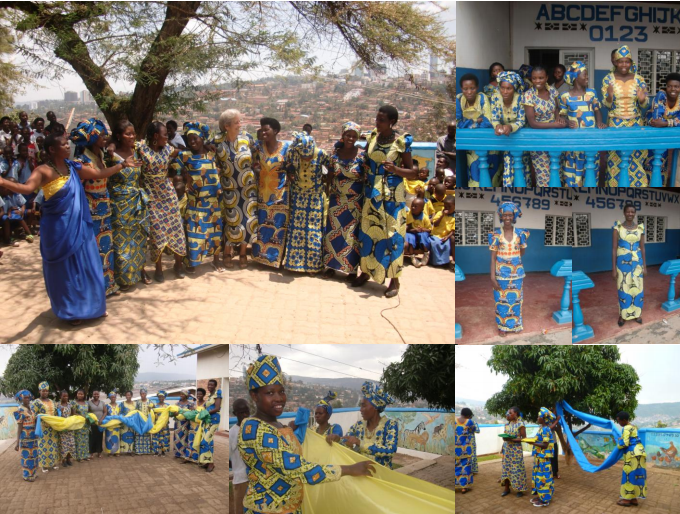 As a group they bought some blue yellow and green fabric as a gift so that we would have it to decorate the building in the colours of the Rwandan flag when we have special occasions, a lovely thought. And so, dear friends and supporters around the world, I wish you as much happiness and love in your lives as we have here. My grateful thanks to you all for supporting us financially and in so many other ways – we cannot do it without you.